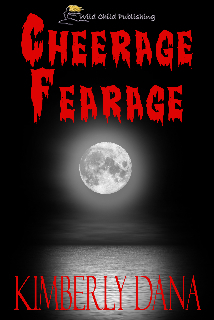 Joining us today is Kimberly Dana, author of the young adult novel, Cheerage Fearage. Thank you for joining us today, Kimberly. Can you please start off by telling us a bit about yourself? 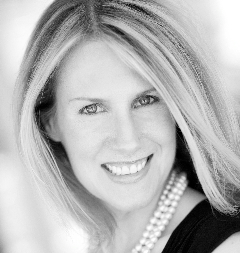 I am an award-winning author and teacher whose middle school students give me much insight into the world of tweendom. I am published by the National Council of Teachers of English and the recipient of several writing honors from Writers Digest, Reader Views, and the Pacific Northwest Writers Association. Other affiliations include the Society of Children’s Book Writers and Illustrators and EPIC, the Electronic Publishing Industry Coalition, where I serve as a judge for the annual eBook competition. My most recent books include my YA thriller, Cheerage Fearage, middle grade novel Lucy and CeCee’s How to Survive (and Thrive) in Middle School and the picture book, Pretty Dolls, voted Best Children’s Book of the Year by Reader Views. I currently live in Nashville with my husband and spoiled shih tzu. I loved to write from a very young age. Around eight or nine, I would write plays to entertain relatives at family reunions. I would type out the script a week before on my parents’ old Smith Corona and then cast my brother and younger cousins in their respective roles. We’d practice and on opening night pass around a canning jar for admission. So that was technically my first writing gig. English was always my favorite subject in school so it’s no surprise that it was also my major in college. But it wasn’t until I started teaching that I thought, I want to write books for my most reluctant readers. So one year over vacation, I wrote a short book of funny poems and brought it into class. I read a few and the kids who disliked reading the most were in stiches, shrieking and applauding. This is probably what inspired my writing bug. As far as what keeps me going, it’s my audience. I absolutely love writing for children, tweens, and teens. My favorite part of writing for teens is capturing their honesty and emotional truth. This is also my greatest challenge. As a YA author, I want to authentically portray the celebration and angst of adolescence. I think the only way to truly do this is to spend a lot of time around teens and tweens, really talking and listening to their hopes, dreams, and fears. I’d love to. My award-winning YA book, Cheerage Fearage takes place at Camp Valentine – a cheerleading camp with raging spirit. It’s ten years after a popular girl’s bizarre death and the bloodthirsty pranks are going down at a hypnotic pace. Enter Tiki Tinklemeyer my protagonist, an indentured servant to the geek label, who’s thrown into the middle of camp mayhem Not only is she out of her element spending a week with the micro-miniskirt V.I.P.’s, but now someone wants to kill her. The book’s tagline would be Fly high and die! I’ve always loved campy horror movies and books. Basically with Cheerage Fearage, I envisioned what I liked to read in middle and high school and the story pretty much came to me. Although I have to add that CF is the first installment of a trilogy that gets a bit darker with each book. I have a middle school survival book coming out in the next couple months called Lucy and CeCee’s How to Survive (and Thrive). Along with the book release, there will be a corresponding website at lucyandcecee.com. I’m pretty excited because it’s my first middle reader novel. Thank you, Cheryl, for this wonderful opportunity. It’s been a lot of fun. Thank you for spending time with us today, (Kimberly). We wish you much success.